Children up to 18 enter free! Tickets must be redeemed at the Vasamuseum entrance, please have your iVenture Card present. Collection Information Tickets must be redeemed at the Vasamuseum entrance, please have your iVenture Card present. The sheer scale and the beauty of Vasa is breathtaking, almost 700 wooden sculptures and figures adorn her length and breadth.On August 10th, 1628 a crowd of thousands thronged the quayside in Stockholm. The Vasa, the pride of the Swedish navy makes her maiden voyage. Two canon shots – the last she would ever make, announce her departure. The people of the city, members of the nobility and foreign ambassadors look on. Just minutes later, the Vasa tilts and sinks. The museum tells the story of how she was built, how and why she sunk, and how she was lifted from the murky depths in order to be preserved for future generations to experience. 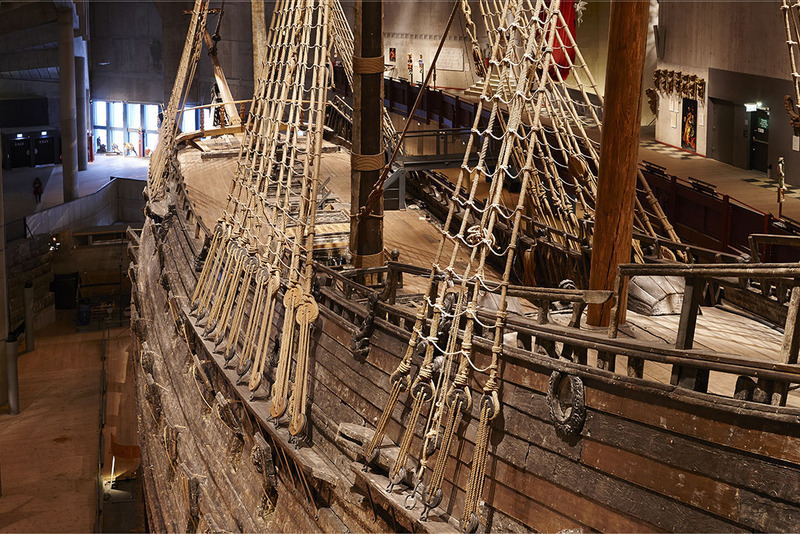 The Vasa is the only preserved seventeenth-century ship in the world and a unique art treasure. More than 95 percent of the ship is original, and it is decorated with hundreds of carved sculptures. Take in a moment to enjoy this fascinating attraction in all of it's glory. Additionally, look out for the ten different exhibitions around the ship that each tell different stories about life on board. The easiest way to get to the museum is by tram. From the city centre, Hamngatan/ Kungsträdgården, take tram number 7 towards Waldemarsudde. There is a car park near the museum, but it is often full. Parking spots may be found on the other side of the bridge or in the parking garages at Slussen or Karlaplan.